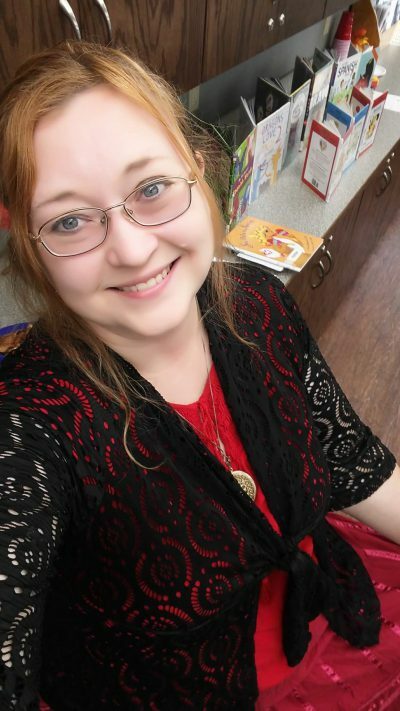 Valetta Cannon, our Children and Teen Services Librarian and Assistant Director, received an Excellence Award from the Southeast Kansas Library System on September 18th, 2018. Roger Carswell, System Director, and Kim Rutter, System Consultant, presented the awards. In addition, the City Commission presented a Certificate of Recognition to Valetta in honor of her award. 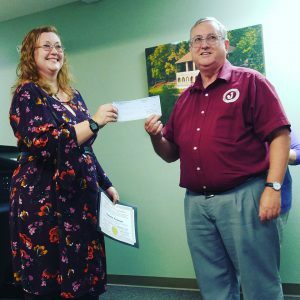 The Excellence Awards recognize exemplary library service or support of libraries in southeast Kansas. 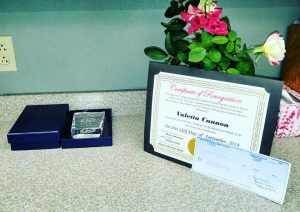 Awards include a $1,000 cash award to the library, a trophy for the winner, and the winner’s name attached to a traveling plaque. 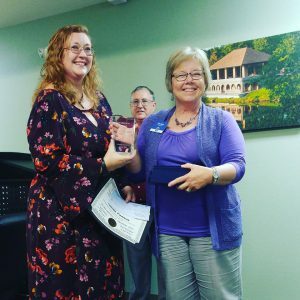 The four recipients of this year’s award were announced June 1, 2018 at the Southeast Kansas Library System annual meeting.